These laces are just pieces. They are really light and delicate. I think they are machine made since they are so perfect and thin. 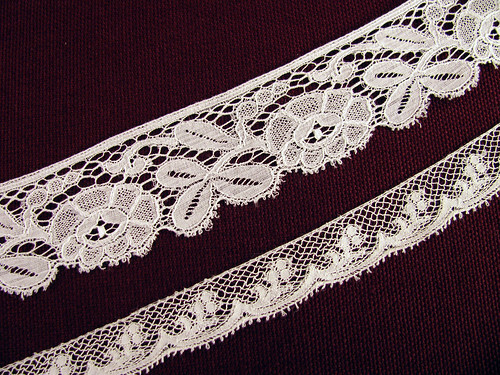 The first photo is of a piece of lace with lots of tears and cuts. 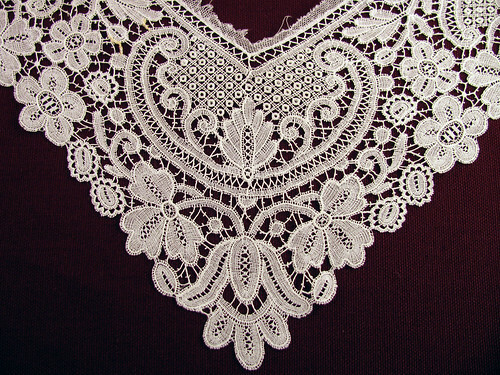 Several motifs are still in good shape and can be cut out for other projects. I think the over-all pattern is very pretty and could be worked in Schwalm embroidery very nicely. Maybe saving it as a pattern would be a better choice. 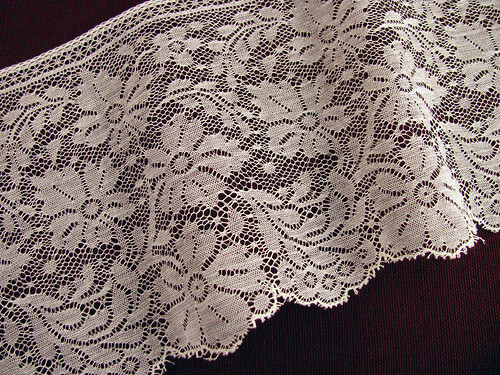 The next piece of lace is a wide border of very sheer lace. It is hard for me to describe in words just how thin it is. There is only about a 15″ piece of it. The next photo is of two very light trims. Both pieces are around 20″ long, so not much to really use for anything. The rose and shamrock pattern can be copied and used for other crafts too. This entry was posted on Thursday, April 2nd, 2009 at 3:00 am and is filed under Lace and Vintage. Tagged: Lace, Vintage. You can feed this entry. You can leave a response, or trackback from your own site.